Many people do not realise the diverse looks that PVC windows can achieve, and assume that they aren’t right for their property or tastes. However, the possibilities with PVC windows are almost endless, and at Advanced Group we offer a diverse range to accommodate everyone. To speak to us today about upgrading your windows and doors today, give us a call now on 08000 502 502. White Is Just the Beginning! The vast majority of PVC windows that you see are white. These provide a clean and fresh look to any property and can help to make a room feel even bigger. Despite their white colour, they remain surprisingly bright and can be wiped down quickly and easily. Wood Grain Effects: We also have a series of wood grain effects that provide for a much more subtle and traditional look. From even a short distance, the uPVC windows are indistinguishable from wood. The grains are meticulously designed to have natural shapes and curves, while the dyes chosen imitate a wide variety of woods. From older period homes to modern builds, you will find that we have wooden windows that suit all tastes and requirements. Coloured Plastics: If natural wood effects don’t quite have enough vibrancy for you, check out our range of coloured plastics. From deep reds to greens and everything in-between, you can mimic painted woods and give your home that extra flash of personalisation to really make it your own. Regardless of what style of window you opt to go for, you can expect the same quality and performance. Efficiency: All of our windows will significantly increase the energy efficiency of your home. Not only does this mean that you will save significant cash every time your energy bill comes in, but they will also make for a warmer and more comfortable home. 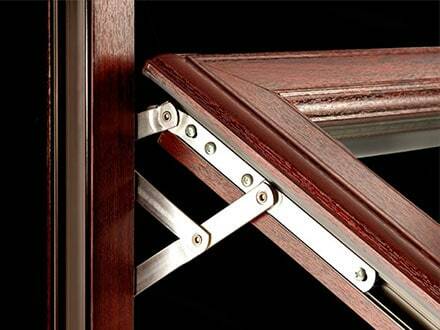 Durability: Our windows are built to last, and we demand the highest quality standards from our manufacturer. As a result, you will enjoy a guarantee of at least 15 years, and we have a proud history of adhering to these promises for over three decades. Affordability: Although we refuse to be beaten on quality, you won’t beat us on price either. Value is at the core of our customer-focused philosophy here at Advanced Group, and we will make even the most modest budgets stretch much further than you might expect. We can’t go into detail about each and every window that we have available in our inventory, and we cannot do them justice. The best way to the enormous variety of products that we have available is to come and visit our showroom in East Kilbride, where our staff will happy to help and answer any questions you might have. Alternatively, give us a call now on 08000 502 502 for your free quote, or fill in our contact form and one of our personnel will be in touch as soon as possible.